The Campbellsville University Jazz Ensemble will perform Tuesday, April 13 in The Gheens Recital Hall of the Gosser Fine Arts Center on campus. The program will begin at 8 p.m. and is free to the public. Jennifer Tinnell, director of the ensemble who also is director of bands and instructor in music, said the Jazz Ensemble is made up of instrumentation commonly associated with the popular swing jazz era of the 1930s and 1940s, including saxophones, trumpets, trombone, rhythm section and vocals. The final event for the Central Kentucky Arts Series' 2009-2010 season will feature award-winning author and Campbellsville native Janna McMahan. Each year, the Central Kentucky Arts Series highlights one of Campbellsville's own talented artists as part of its Home Roots Program. 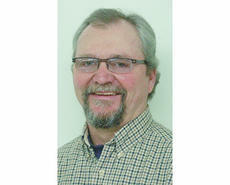 McMahan will speak Tuesday, April 13 at 7:30 p.m. at the University Theater on the campus of Campbellsville University. Those interested will have another opportunity to learn how to save money by using coupons. Campbellsville resident Susan Wise will teach another class of Couponing 101 at the Taylor County Extension Office on Monday, April 12 at 6:30 p.m.
Those interested in attending should call 465-4511 for more information or to pre-register. Pre-registration is not required. Those wishing to share in a pizza meal should bring $2. For more information, call 465-4511. 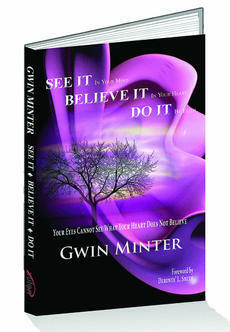 Gwin Minter of "Get Motivated with Gwin" will appear Saturday, April 10 at The Book Store on Campbellsville Bypass from 1 to 2:30 p.m. to promote her first book, "See It In Your Mind, Believe It In Your Heart, Do It By Faith." The book is designed to inspire and give encouragement to those who think they cannot fulfill their destiny. A Knifley man is in critical condition following a single-vehicle crash Wednesday morning near Columbia. According to a Kentucky State Police report, at about 10:58 a.m., Richard Marrado, 54, was driving a 1995 Chevrolet S10 west on Elk Horn Road when he left the roadway and struck a concrete culvert and utility pole. Marrado, who was wearing a seat belt, was airlifted from the scene to University of Louisville Hospital by Taylor County Air EVAC. He is listed in critical condition. 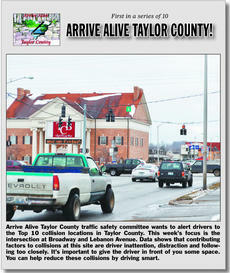 Arrive Alive Taylor County traffic safety committee wants to alert drivers to the Top 10 collision locations in Taylor County. Each week for 10 weeks, the New-Journal and Commonwealth Broadcasting local stations will focus on a new location in Taylor County. On Saturday, April 10, Greg Kirkland of Elk Horn will demonstrate how he turns wood with a lathe from 10:30 a.m. to 3:30 p.m. at the Kentucky Artisan Center at Berea. Kirkland specializes in bowls and will be turning them from hardwoods into a variety of shapes. Seven candidates are seeking the 3rd District magistrate seat this election year, and all of them will face Primary opposition this May. Incumbent Milford H. Lowe, Larry Barnes, Darrell W. Cox and Steve Hayden will face off on the Democratic ticket. Republicans Tommy Corbin, James E. Cochran and William "Bill" Kingdollar will battle for their party's nod. The winner of each primary race will face off in November's General Election to fill the district's magisterial seat.